Your Downtown Dentistry is proud to provide a selection of oral surgery services right here in our office. No more searching for specialists, as we can handle your extractions, dental implants, root canal treatments and more, in the same office where you get your teeth cleaned! Keep reading to learn more or contact us today. 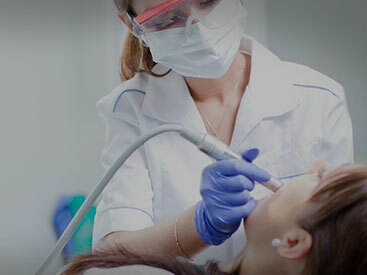 Tooth extraction is a restorative dental procedure that removes the tooth from its socket in the bone. Your Downtown Dentistry takes every precaution to ensure that our patients’ extraction process are as painless and pleasant as possible. If a tooth has been broken or damaged by decay, our dentists will try to fix it with a filling, crown or other treatment. Sometimes, though, there may have been too much damage for the tooth to be repaired. This is the most common reason for extracting a tooth. These changes can be detected on the lips, cheeks, palate, and gum tissue around the teeth, tongue, face and/or neck. Pain does not always occur with oral pathology, and curiously, is not often associated with oral cancer. However, any patient with facial and/or oral pain without an obvious cause or reason may also be at risk for oral cancer. Our doctors perform the proper treatment for facial injuries. These professionals must be well versed in emergency care, acute treatment and long-term reconstruction and rehabilitation – not just for physical reasons but emotional as well. Oral and maxillofacial surgeons are trained, skilled and uniquely qualified to manage and treat facial trauma. Injuries to the face, by their very nature, impart a high degree of emotional, as well as physical trauma to patients. The science and art of treating these injuries requires special training involving a “hands on” experience and an understanding of how the treatment provided will influence the patient’s long term function and appearance. For more information on oral surgery, dental implants, and root canal treatments in the Orlando, FL area call Dr. Ali Behzadi at (407) 502-0202 today!